I am not a big fan of Halloween. I get sad at the inappropriate costumes and demonic exhibitions that seem to get worse every year. We enjoy going to our church fall festival but the boys do visit our neighborhood friends in whatever homemade costumes they come up with. My children and husband love the fun parts like the candy (who doesn’t? ), and carving pumpkins (roasted pumpkin seeds are yummy), and the boys love dressing up. Sometimes, we’ll even have hot cider if it happens to be cold (but it rarely is in Georgia). 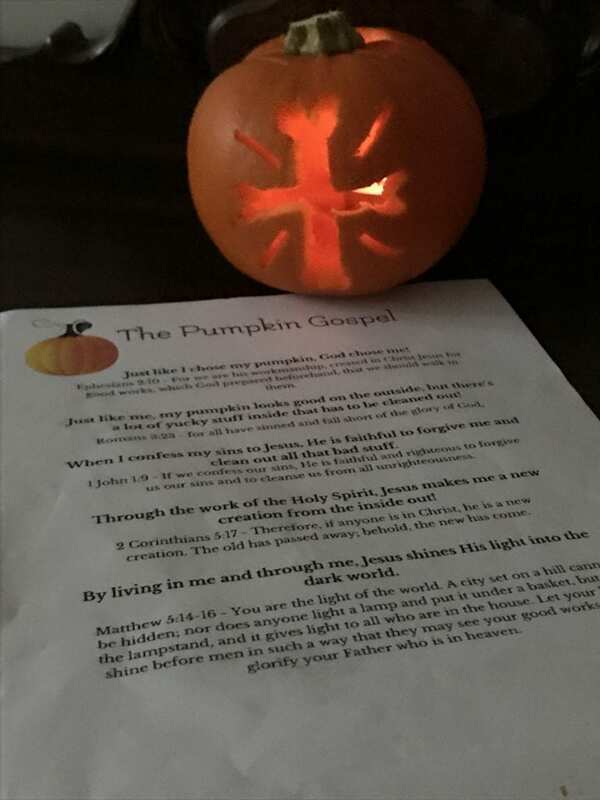 Just like I chose my pumpkin, God chose me! Just like me, my pumpkin looks good on the outside, but there’s a lot of yucky stuff inside that has to be cleaned out! When I confess my sins to Jesus, He is faithful to forgive me and clean out all that bad stuff. Through the work of the Holy Spirit, Jesus makes me a new creation from the inside out! By living in me and through me, Jesus shines His light into the dark world. Matthew 5:14-16 – You are the light of the world. A city set on a hill cannot be hidden; nor does anyone light a lamp and put it under a basket, but on the lampstand, and it gives light to all who are in the house. Let your light shine before men in such a way that they may see your good works, and glorify your Father who is in heaven. 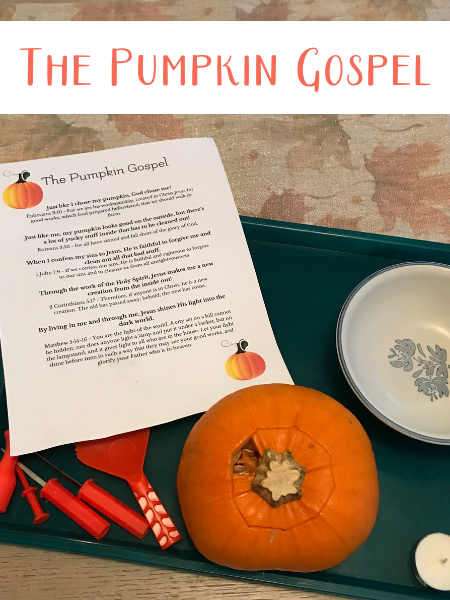 Click here to get your Pumpkin Gospel printable! Do you love everything pumpkin, too? Here are some other posts you will enjoy!